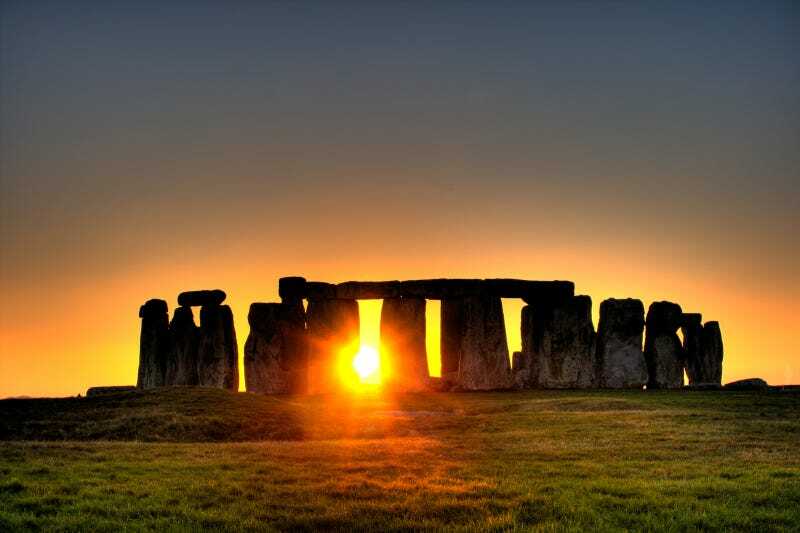 Archaeologists have long debated the meaning and function of Stonehenge, which, when complete, was made up of two concentric circles of stone pillars, surrounded in turn by a huge circular earthwork ditch called a cursus. Much of the structure, which was built over about 1500 years and took thousands of person-hours to construct, is still standing. Some researchers have argued that it served as an astronomical observatory, although that idea is now largely discounted; others, pointing out that the monument is aligned with the winter solstice and the midsummer sunrise, think it served as a site for seasonal rituals; although still others see it as a burial place for the prehistoric elite, citing the more than 60 cremated skeletons that have been found in and around the stone pillars. Now, a team excavating at Stonehenge, led by archaeologist Chip Aubrey of the University of East Gloucester in the United Kingdom, has uncovered more than three dozen new, relatively intact skeletons from the site, along with other finds that the researchers say strongly suggest the monument was used as an outdoor concert hall. The team's anthropologists have found that most of the skeletons, the remains of both males and females ranging in age from late teens to early 20s, have well-preserved inner ear structures. When examined under a microscope, the inner ear bones of many of the skeletons' ears showed telltale signs of scarring and other damage, probably as a result of being exposed to loud noise. Indeed, the team found that when it played loud music from a boom box placed in the exact geometric center of Stonehenge—including cuts from Neil Young and Crazy Horse, known for their high-volume performances—the decibel level was amplified by as much as 75%. Meanwhile, the team's archaeologists found two thin, tapered, wooden implements, each about 40 centimeters long, under one of the largest pillars. The implements are in association with the poorly preserved but recognizable remains of an animal skin from which the fur had been shaved off, probably with a sharp stone tool. The researchers interpret this finding as an ancient drum, although they caution that further study will be necessary to confirm this conclusion. "All of these lines of evidence converge on only one likely conclusion," says Nigel Tufnel, an anthropologist at the University of Witney in the United Kingdom who was not involved in the excavations. "Young people came to Stonehenge to listen to loud music with a strong beat. Some went back home, but others stayed and were buried here." As for the monument itself, Tufnel has his own thoughts about its creators. "No one knows who they were, or what they were doing," he says. "But their legacy remains."